We've already seen a team of Germans break the record for the fastest four-wheel tyre change a few weeks ago – taking less than a minute – but this Le Mans video shows off the skills of the boys and girls who man the pits at the iconic 24-hour race. 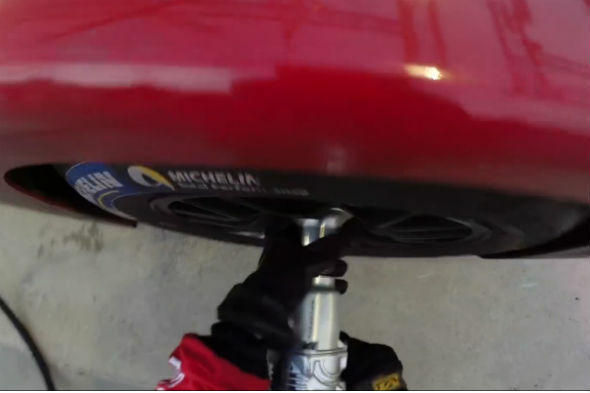 Le Mans may not have the ridiculously rapid pitstops of F1, but the mechanics still show some pretty handy skills with a tyre gun – and the obligatory windscreen sponge to help the driver see where they're going after many hours of blasting around the circuit. Watch the pit stop for yourself in the video below.